Also known as the best cupcake I've ever made. I don't know about you guys, I know it's sortof one of those love it or hate it things, but I LOVE coconut. Almond Joys are my hands down favorite candy bar and let's not even get started on the Samoa girl scout cookie. When a friend's birthday rolled around I wasn't quite sure what to make. He really liked the icing from my pineapple coconut cupcakes, but said his favorite candy was just plain dark chocolate which lead me to this little brain child (although I'm sure it's been done before as all cupcakes have). I made these in mini version as they are pretty high on the calorie scale and I knew I wouldn't be able to eat just one. Beat butter and cream cheese together until well combined. Add vanilla and powdered suger (about 1 cup at a time) until well combined. Then add your coconut in and mix. Bake on 350 degrees for about 17-20 mins. 1. Bake your cupcakes and let cool. 2. 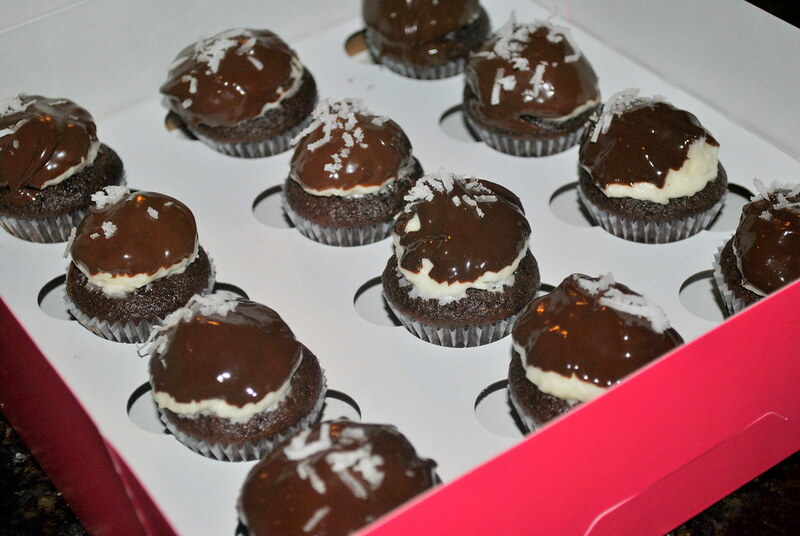 Ice your cupcake with the coconut frosting and make sure the tops are pretty rounded. 3. Melt dark chocolate chips on defrost setting in microwave until smooth then dip each cupcake in chocolate. 4. Sprinkle coconut flakes on the top of each for fun and let set. They were really delicious after being in the refrigerator or a while. 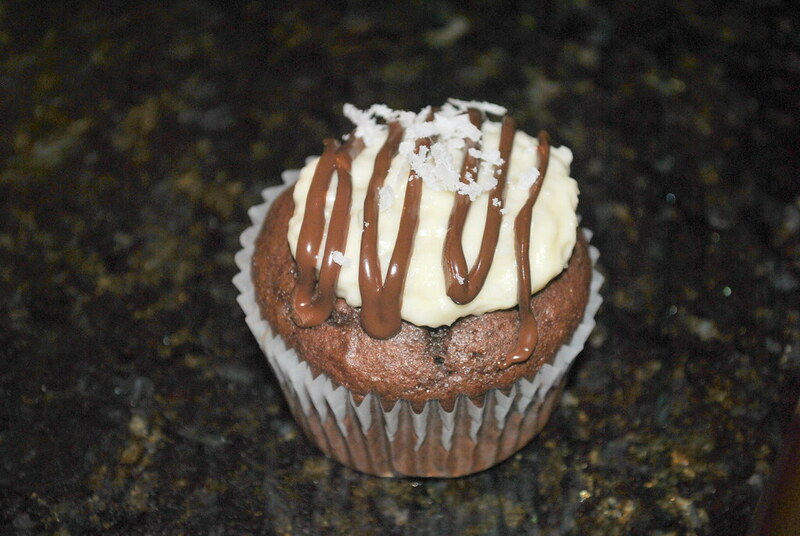 Here is what I did with the leftovers in case you were interested in trying regular size cupcakes. WOW!! 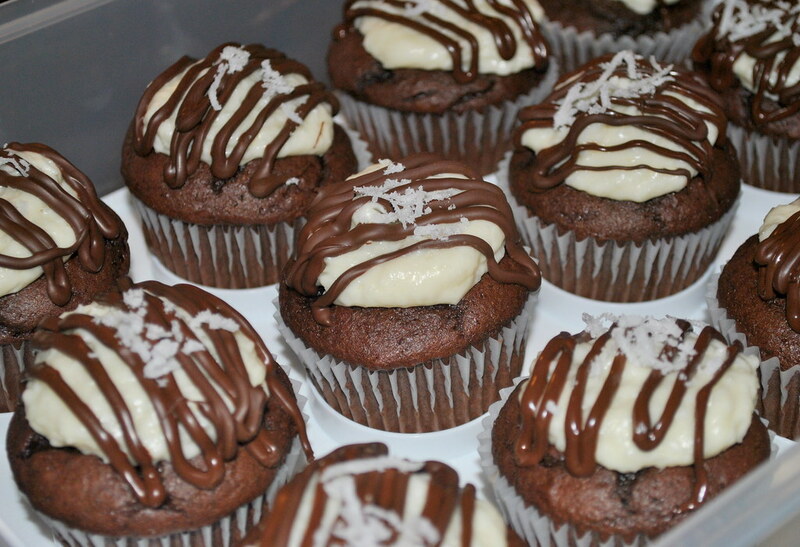 These look amazing :) My husband & I are huge coconut fans so I might have to make this for his bday, great job! Oh my good word... I am drooling. These look like they came out great--I have to admit, I'm not a coconut fan, but I have a friend who would LOVE these. Can't wait to test them on her! oh.my.gosh. my mouth is literally watering. 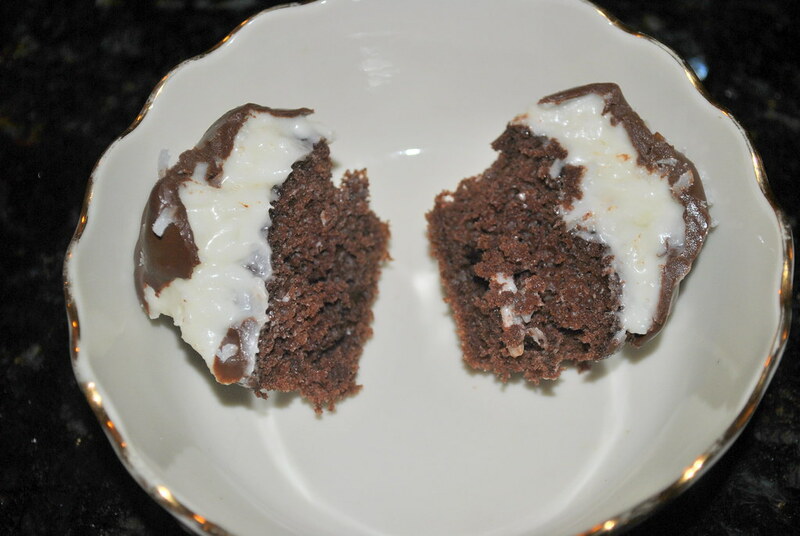 i love mounds and i love cupcakes, so i know i would LOVE these! must try this recipe!! stop it right now. this is my dream!!! YUM - those look soooo delicious!!! Oh my god. 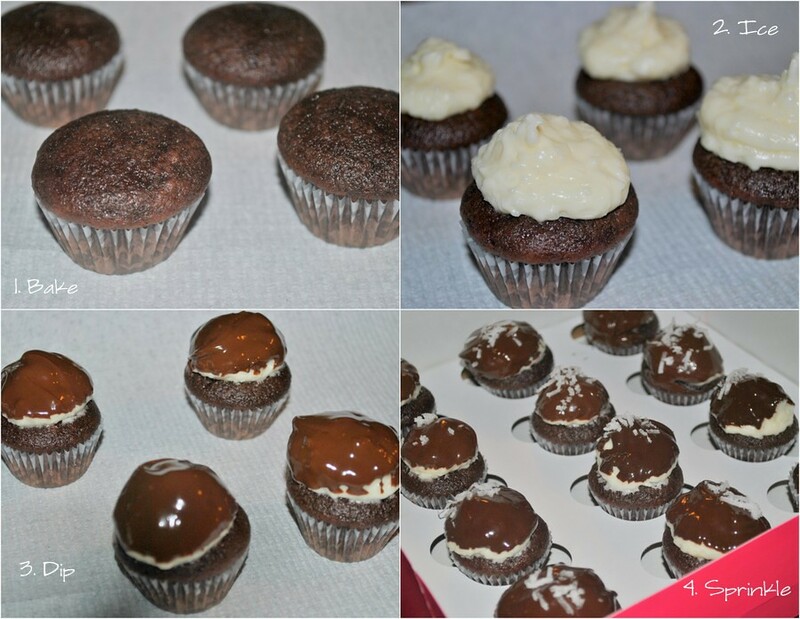 I am officially craving these cupcakes and must make them tonight - these look SO YUMMY! oh my!! those look sooo good!! yummy! I'm one of the few people I know who actually likes coconut (why all the hate? ), so I'll have to make these some day when I have time. Oh yum! These look amazing!! I will make these for office happy hour tommorow. I've been trying to boost staff morale.